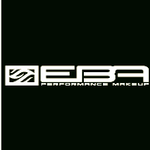 European Body Art (EBA) is a premier manufacturer and supplier of the world's most complete systems for airbrush temporary tattoos, airbrush tattoo supplies, F/X make up and comprehensive training tutorials for airbrush body art tattoos and make up. The EBA airbrush temporary tattoo brand has been trusted and successfully put into use by thousands of businesses and professionals around the world. If your business is seeking a unique style, unmatchable profits and world class training and customer service, we welcome you as our partner and we hope to be your preferred supplier for your airbrush tattoos and F/X body art business needs.